Obituary – Chrz, Ralph Charles « Perry High School Alumni Association, Inc.
President of Distributive Education Club, ’47. Ralph Charles Chrz, 90, of Perry passed peacefully from this life on December 31, 2015 at Perry Memorial Hospital. Services have been entrusted to the care of Palmer Marler Funeral Home and a graveside service will be held at 10:00 a.m. on Saturday, January 2, 2016 at Grace Hill Cemetery in Perry. Public visitation will be held at the funeral home on Saturday morning before the graveside service from 8am to 9:30am. Ralph was the son of Otto Charles and Lillian Eva (Malaska) Chrz. He was born July 27, 1925 east of Perry and spent much of his childhood there before moving to Duncan, OK during high school. In 1943, Ralph left Duncan High School early to join the U.S. Coast Guard. He served his country honorably as a Bosons’ Mate in the Asiatic Pacific and European Theaters. Ralph drove a landing craft carrying soldiers and equipment on D Day. Although he chose not to speak about his military career often, Ralph and his family were very proud of his brave service and sacrifice. Following his honorable discharge from the USCG in 1946, Ralph returned to Perry where he graduated from Perry High School. From the time he was a young man, Ralph worked with his parent’s on their family farm northwest of Perry. Ralph married the love of his life, Velma Hendren on August 11, 1946. Soon Ralph began working for Monroe & Lang Hardware Store in the sales and service departments before accepting a position at the Oklahoma Dept. of Transportation. He worked for ODOT for 37 years and made many wonderful friends before retiring as a warehouse manager in 1993. 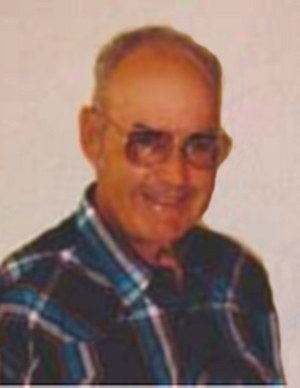 After retirement, Ralph enjoyed farming wheat and raising cattle and horses on the farm with his son, Bryan. He was a member of the Perry VFW and the American Legion, where he spent many years running the weekly bingo games. Ralph and Velma attended First Baptist Church with their family for many years. Ralph Chrz was a sweet and respectful man who possessed a quiet strength. He lived a life of authenticity and always remained true to who he was. He loved raising horses and made it a habit to read the newspaper from cover to cover daily, often cutting out ads and articles that would be of use to his family. Ralph was a man of character who wanted to see things done right, no matter the cost. This was a lesson he modeled for his son and grandkids, often while attending and supporting them at one of their many activities. Ralph was very proud of his family and he was happiest when he was surrounded by them. He was preceded in death by his parents Otto and Lillian Chrz and his wife of 67 years Velma Chrz. 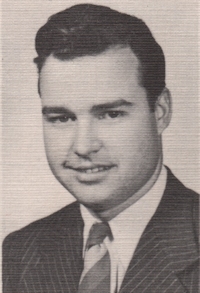 Ralph is survived by his son, Billy Bryan Chrz and his wife, Billie of Perry, Oklahoma; five grandchildren, Amy Harman and her husband, Aaron of Broken Arrow, Oklahoma, Allyson McGinnis and her husband, Ben of Tulsa, Oklahoma, Jarrett Chrz of Tulsa, Oklahoma, Abbey Chrz and Will Chrz both of Perry, Oklahoma two great-grandchildren, Juliet McGinnis of Tulsa, Oklahoma, Avery Harman of Broken Arrow, Oklahoma; brother Bill Chrz and his wife Corine of Perry, Oklahoma. Donations may be made in Ralph’s name to the American Diabetes Association in care of Palmer Marler Funeral Home, P.O. Box 189, 203 E. Fir, Perry, Oklahoma, 73077.